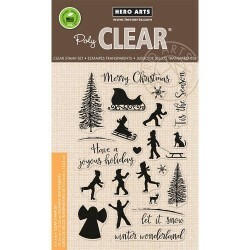 Days of Winter 6" x 6"
Days of Winter 12" x 12"
Shoreline Treasures 12" x 12"
Shoreline Treasures 6" x 6"
Flower Frames 6" x 6"
Sweet Baby Collection 12" x 12"
Hero Arts Clear Stamps Set "Winter Silhouettes" Hero Arts poly Clear Stamps sono ideali per creare Cards, Bigliettini di Auguri e molto altro. I timbri sono al 100 % di Photo-Polymer. Facili da usare applicandoli su un blocco acrilico. 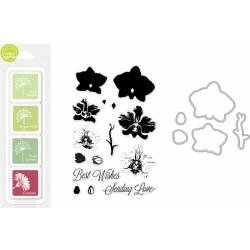 Hero Arts Clolor Layering Bundle Stamps "Large Orchid" Hero Arts ha creato una linea coordinata di Clear Stamps e Inchiostri Tamponi. 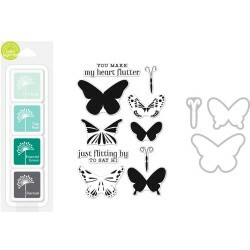 Hero Arts Clolor Layering Bundle Stamps "Butterflies" Hero Arts ha creato una linea coordinata di Clear Stamps, Fustelle coordinate e Inchiostri Tamponi. 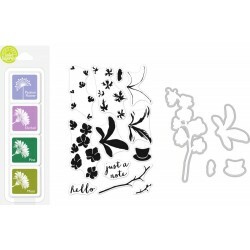 Hero Arts Clolor Layering Bundle Stamps "Orchid In A Pot" Hero Arts ha creato una linea coordinata di Clear Stamps, Fustelle coordinate e Inchiostri Tamponi. 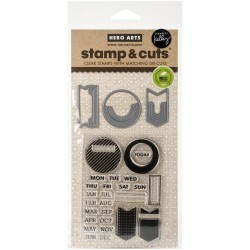 Hero Arts Clear Stamps "Envelope Art" 4" x 6" I Timbri Hero Arts sono ideali per la realizzazione di Cards, Bigliettini di Auguri, Scrapbooking e molto altro!!! 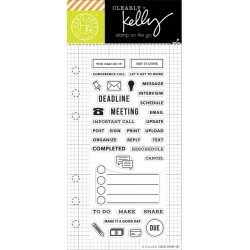 Timbro Hero Arts by Kelly Purkey Clear Stamps "Shopping Planner" 2,5" x 6"
Timbro Hero Arts by Kelly Purkey Clear Stamps "Adventure Planner" 2,5" x 6"
Timbro Hero Arts by Kelly Purkey Clear Stamps "Sports Planner" 2,5" x 6"
Timbro Hero Arts by Kelly Purkey Clear Stamps "Fitness Planner" 2,5" x 6"
Timbro Hero Arts by Kelly Purkey Clear Stamps "Appointment Planner" 2,5" x 6"
Timbro Hero Arts by Kelly Purkey Clear Stamps with Matching Dies"Planner Clips"
Timbro Hero Arts by Kelly Purkey Clear Stamps with Matching Dies"Planner Banners"
Timbro Hero Arts by Kelly Purkey Clear Stamps "Occasion Planner" 2,5" x 6"
Timbro Hero Arts by Kelly Purkey Clear Stamps "Work Planner" 2,5" x 6"
Timbro Hero Arts by Kelly Purkey Clear Stamps "Travel Planner" 2,5" x 6"
Timbro Hero Arts by Kelly Purkey Clear Stamps "TV Planner" 2,5" x 6"
Timbro Hero Arts by Kelly Purkey Clear Stamps "School Planner" 2,5" x 6"